FC Locksmith will handle projects of all sizes whether it be a simple lock change in a home or a massive corporate project involving products and services for entire facilities. FC Locksmith is the only locksmith in and around Toronto with both the means and experience to handle the largest corporate projects while providing clients with the highest levels of customer service. FC Locksmith maintains ongoing relationships with debt collection companies throughout Toronto. Whether a residential repossession, vehicular repossession or a utility disconnection, FC Locksmith provides debt collection companies with the most comprehensive locksmith services available. Residential repossessions are one of our specialties at FC Locksmith. 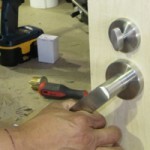 Through years of experience developed by intimate relationships with our client landlords, mortgage companies and estate agents; FC Locksmith has developed a reputation as the premier provider of locksmith residential repossession services in the GTA. 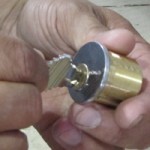 FC Locksmith will change/rekey locks, repair any locks and doors; provide any products and services required by the client. In addition to the more conventional locksmith services that we provide, FC Locksmith will also handle home clearances and drain downs. FC Locksmith has years of experience with vehicular repossessions and currently works alongside numerous car repossession companies and automobile auction houses. Our call center is open all hours of the day, every day of the year and our customer service representative will have a certified locksmith dispatched to the location of the car or motorcycle without delay. Our locksmiths will arrive in a fully stocked truck prepared to open and provide keys for the vast majority of the vehicles on the road today. FC Locksmith understands that time is of the essence and we now have a fleet of scooters to help circumvent midday Toronto traffic. FC Locksmith regularly provides assistance to contact managers and bailiffs alongside the necessary utility personnel, whether it be a electric or gas engineers, in gaining access to a property. Our certified locksmiths will arrive to the property as quickly as possible and will gain entrance to the property in moments without causing any damage to the doors, locks or the property in any way. FC Locksmith provides clients in Toronto and The Greater Toronto Area with the full range of locksmith products and services. Our products include locks from all of the major lock brands, intercom systems, CCTV systems, high security commercial locks, safes, file cabinet locks and more. The services that we provide include lock changing, lock replacement, lock rekeying, gate installations, safe installations, the full range of automobile locksmith services and emergency commercial, residential and automobile locksmith services.